Built on the former site of Hosking House, The Aston was completed in the middle of 1998. A modern mixed complex building located at Hosking Place. The Aston is 28 levels of retail units, residential and serviced apartments. 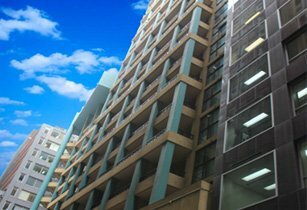 Quietly nestled between Pitt Street and Castlereagh Street just off Martin Place and is moments from the best of everything Sydney has to offer. Astor consists of 97 apartments and 1 commercial premises, a heated spa and swimming pool, sauna and gym.